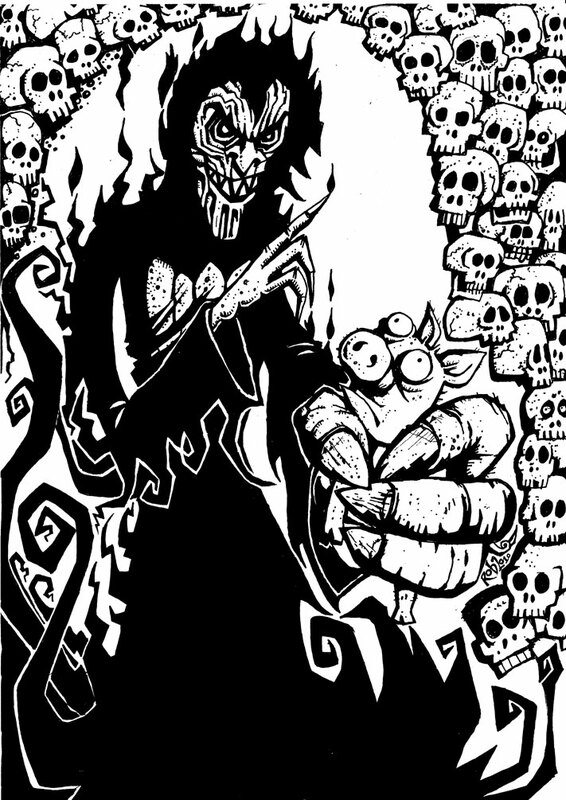 I did a quick sketch of the bogeyman from "Stuff of Legend", and then inked it in last night. It's a million miles from the beautifully crafted work of C.P Wilson, but quite true to my own style. I'm going to add a few touches of colour.. not much as It's on plain cheapo copier paper, so liable to cockle.